Happy August! How crazy is that!? Sorry for the hiatus, but life has been cray cray in my neck of the woods lately. Anyway, this ice box cake is the perfect summer indulgence. 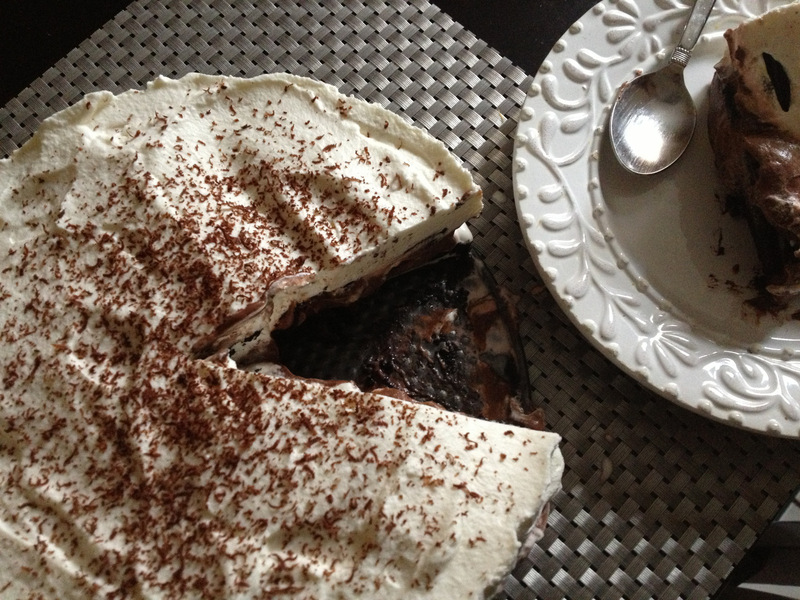 It's simple, decadent, best of all no oven is required. Winner! It is beyond easy to prepare, yet the presentation is truly impressive. Oreos, fresh whipped cream, and semi homemade chocolate mousse, now we are talking. Line the sides of a 9"x3" springform pan with parchment paper strips. Lay some Oreos on the bottom of the pan in overlapping concentric circles. Prep your instant chocolate pudding according to directions on the box. In a large bowl or stand mixer, whisk whipped cream and sugar to soft peaks. 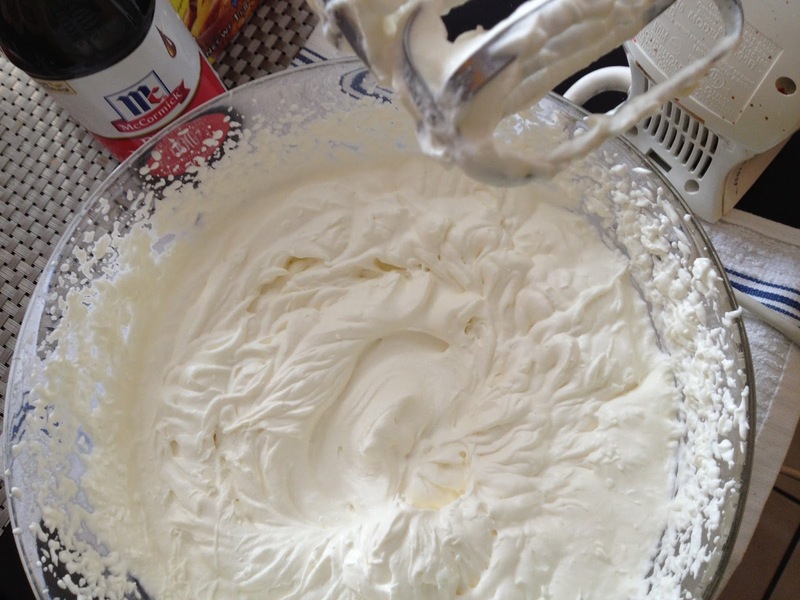 Remove 2/3 of the whipped cream from the bowl. 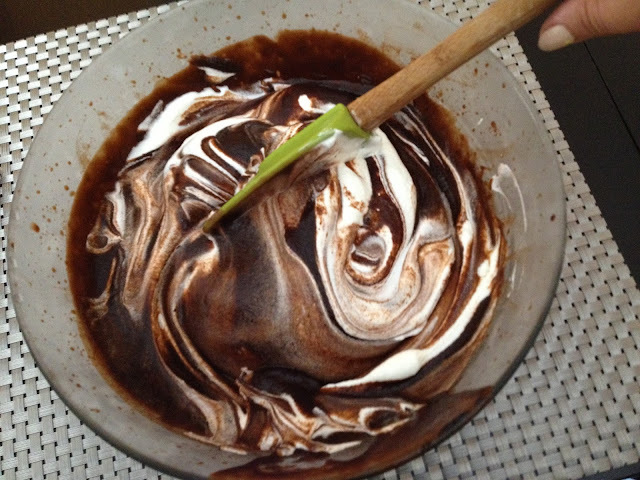 Fold the chocolate pudding into the remaining 1/3 whipped cream. Put 1 cup plain whipped cream into a large resealable plastic bag. Snip off one corner of the bag. 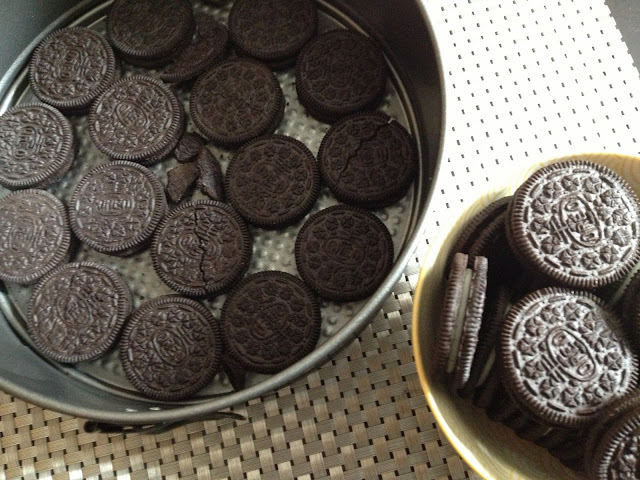 Pipe the cream over the Oreos, along the sides of the pan, to create a one-inch dam. 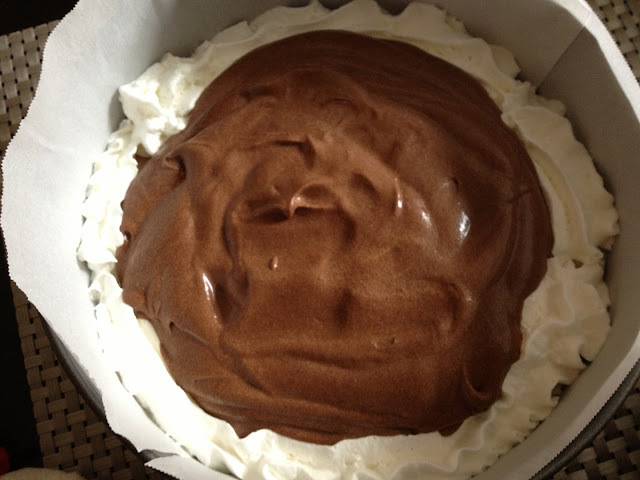 Pour the “chocolate mousse” into the center of the pan and spread the edges to the dam. Place the remaining cookies over the pudding. 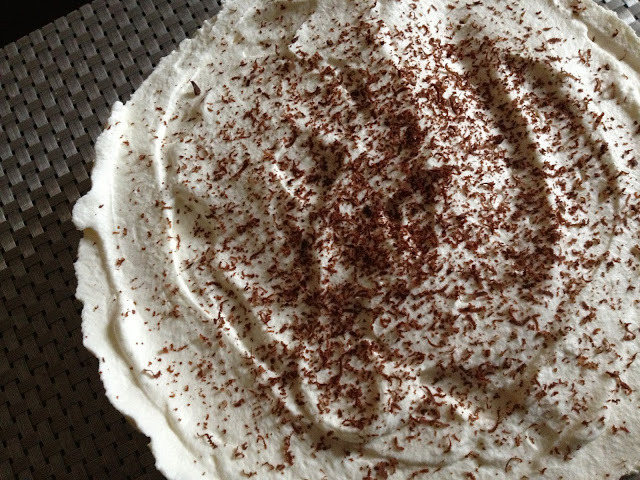 Top the cookies with the remaining cream, spread to the edges of the pan, and smooth to level. Decorate with chocolate shavings. Chill at least 8 hours or up to overnight. Remove the sides of the springform pan and the parchment. Cut cake into wedges and serve.